My ex-wife infuriates me. Every time my kids forget something at my house or she thinks I didn’t do a good enough job helping one of them study for a test, she goes ballistic. I try to be patient but she explodes at me, and then we’re fighting like we did for years. This is why we divorced! I feel bad that our kids get caught in the fighting, but how am I supposed to be nice or not tell the kids that their mom is a nut when she gets so crazy over things? When we marry someone, it is with the hope that they will love and accept us as we are, warts and all. Sure, we might ask our spouses to modify a behavior (picking up socks or putting the cap on the toothpaste tube are favorites! ), but we generally believe that the person we have chosen to marry finds us good enough. Divorce is an indication that our dreams of a loving spouse who accepts our foibles and mistakes have fallen apart. We may find ourselves on the other end of the firehose of our once-beloved partner’s rage. When children are caught in the midst of these toxic interactions, it compounds their pain, and our own. You have posed your question as if you are powerless to protect your children from the angry fighting that takes place with your former wife. I don’t believe that this is true. I understand that when someone we once loved dearly treats us badly, it can trigger huge amounts of hurt, which fuel anger. But we still have a choice; when your wife gets irritated with you, you can choose to take it personally and turn it into an attack on your character or ability to parent, or you can summon up the strength to see her as someone you once loved whose mean-spirited behavior is more likely just a reflection on her own sadness, hurt, or overwhelm. While it’s a tall order to take the high road and resist the urge to fight, it is not impossible. In the process, you will grow in patience, tolerance, and kindness, setting a role model for your children in how to respond when there are disagreements. What a gift that would be for them, to have you as a role model of respect in the face of difficult communication! Remember: your children are innocent bystanders to the unraveling of their parents’ love affair, but not its cause. If they sense that you and their mom are fighting because of them (they forgot their math book at your house, or mommy’s upset because they need a tutor and you’re both arguing over who will pay), they will believe they caused your divorce. You can try to convince your kids that they didn’t make you or mommy leave, but children believe what they feel far more than the words we deliver. If you don’t want them to feel responsible for the divorce, be very careful about becoming reactive with their mother. 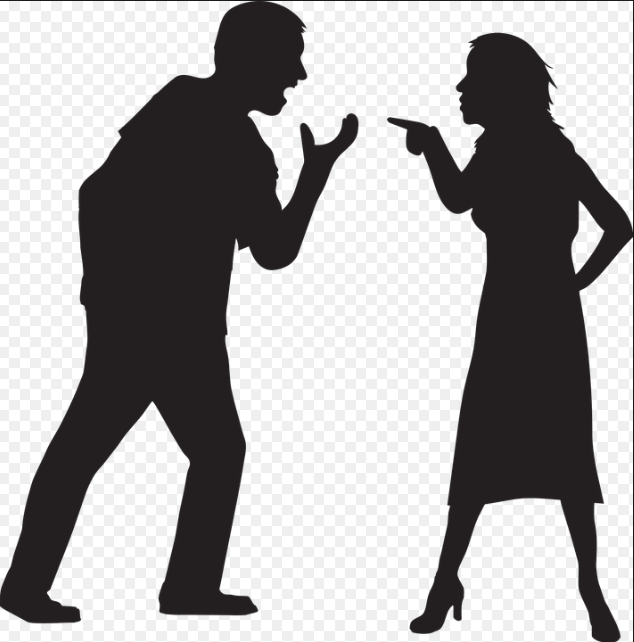 While divorce can be devastating for kids, one of the things that makes it much more damaging is when they get caught in the crossfires of their parents angry interactions. Conversely, kids who come through divorce without too much residual harm are the ones whose parents have risen to the challenge of being patient, polite, and respectful, even when it has been very difficult. When you find yourself losing your temper with your former wife, consider that underneath your frustration is simply sadness — sadness that she doesn’t see how hard you’re trying to be a good dad, sadness for the loss of the close-knit family you hoped you could create, or sadness from the challenges that come with co-parenting with someone whose reactions you can’t control. When we allow ourselves to grieve for what we cannot change or control, it is easier to be less reactive in the face of others’ upsets. I wish you and your family healing and peace.